Whether you’re looking for earned, paid or owned media, KCOM has the experience, customized strategies, and brand journalism expertise to not only report your news, but also create and re-purpose your story. We do this in many ways, always tailored to the specific brand vision and mission, its audiences and influencers, and relationship and engagement needs. We’ve got you covered…and covered well. From establishing clients as experts in their fields across all communications platforms, creating news-generating events and pursuing relevant media sponsorships, cross promotions and partnership opportunities to developing print, TV, radio, online, social media initiatives; producing video news releases and engaging YouTube presentations; coordinating news conferences with prepared messaging and tracking services. In today’s world of the 24/7 news cycle, Kaye Communications is always connected…and with authority! We establish your brand’s online and social presence on the platforms that best connect you to your target audience. From Facebook to LinkedIn and Google+ to everything in between, we are your source for strategic marketing in the social media universe and strive to expand your brand awareness to those who need to be educated on your company and its features, advantages and benefits of engaging. Be assured it is more than a competitive numbers “popularity” game…it is not just about the rush of ego-centric “friend and fan raising”. 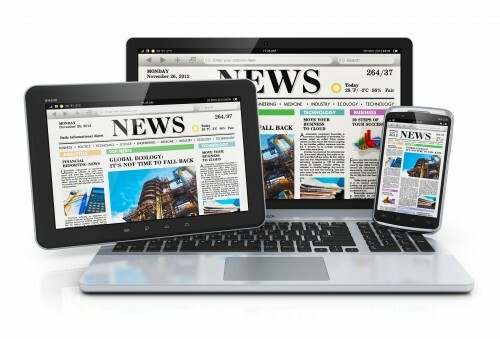 To be successful — as with any communications effort and investment — online and social initiatives must translate into some type of audience action: increased loyalty, commerce/sales, members, customers, ticket purchases, attendance, sharing and influencing, interactive online engagement via contests and surveys, SEO positioning, etc. We are recognized as expert community connecteurs™, a term we coined to describe our ability to position client in masterful mutually beneficial public/private relationships and initiatives in the community. While we are strongly rooted and engaged in our immediate South Florida locale, our cause-related and relationship-building experience and expertise have been tapped by a roster of regional and national brands to “matchmake” well beyond our base to cities throughout the state (for clients such as California Pizza Kitchen) and around the country (for Muvico Theaters, iPic Theaters, Promise Healthcare and Success Healthcare). KCOM’s principals are active and high-profile in the South Florida community with strong, established relationships with and knowledge of area businesses and business organizations, government officials, residential communities, nonprofit organizations and media. Our firm’s own investment (in time, memberships, board leadership and committee participation, sponsorships, etc.) in the community results in immediate and effective interfacing and positioning for our clients, an advantage only Kaye Communications can provide. Leading by example, we have inspired and coached hundreds of companies and nonprofits on corporate social responsibility (CSR), its personal and professional benefits and generates an intangible “company pride” rush when uniting for greater common good. For doing this, our principals have been recognized as “Pillars of the Community“, recently received the coveted 2013 FAU Board of Trustees Service Award for our support of the university’s Charles E. Schmidt College of Medicine, and our firm was presented a 2013 Bernay’s Award for PR Excellence for our strategic communications for the “Our Legend, Her Legacy” 100th Birthday Celebration Tribute Benefit honoring Palm Beach County community advocate and philanthropist Countess Henrietta de Hoerle who has more than 40 buildings in her name in Palm Beach County, New York and around the globe. While our Chief Strategist has more than 30 years of providing crisis communications to hotels, resorts, hospitals, cities, destinations, airport operations, entertainment venues and cable networks, we are not afforded the “bragging rights” of our achievements. Why? diffuse many of the unexpected crises that rise before they could even hit the media, influencers, stakeholders (and bragging would make the issues public! ), are unwavering when it comes to professional integrity and commitment to client confidentiality and compliance, plan in advance of a crisis with communications policies outlined and leadership/employee education in place, work under the radar, are among the first to learn of pending issues or to reach and capture key stakeholder support, manage organization spokesperson talking points through a variety of communications channels, often serve as company spokesperson as needed, and much more. There is nothing that raises more awareness for your brand than a celebration. Kaye Communications is a full-service firm that establishes your brand by putting your business in the spotlight. Our firm researches your customer base, your competitors and your place of business in order to re-introduce or launch your brand with the most attention-grabbing, media-friendly and customer-creating events. Our proven ability to draw massive crowds and top media outlets has allowed our clients to expand their brand recognition and audience. We’re in the game of trading social currency for our clients. Establish your Corporate Social Responsibility (CSR) with a special environmental initiative planned and guided by the KCOM-Green division.